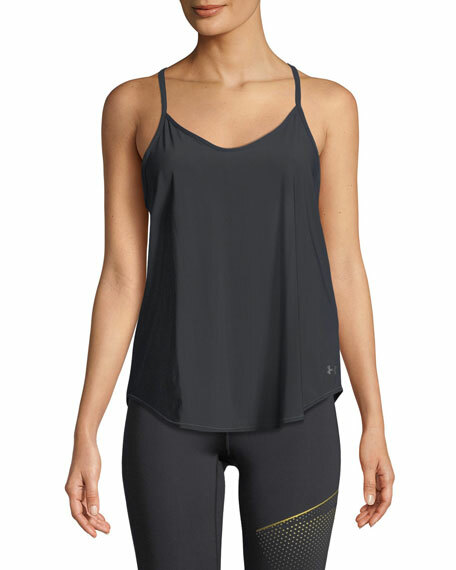 Under Armour "Free Cut" tank in performance fabric. Lightweight stretch fabric for all-day comfort. Back mesh panel for breathability. Thin strappy back detail with keyhole design.